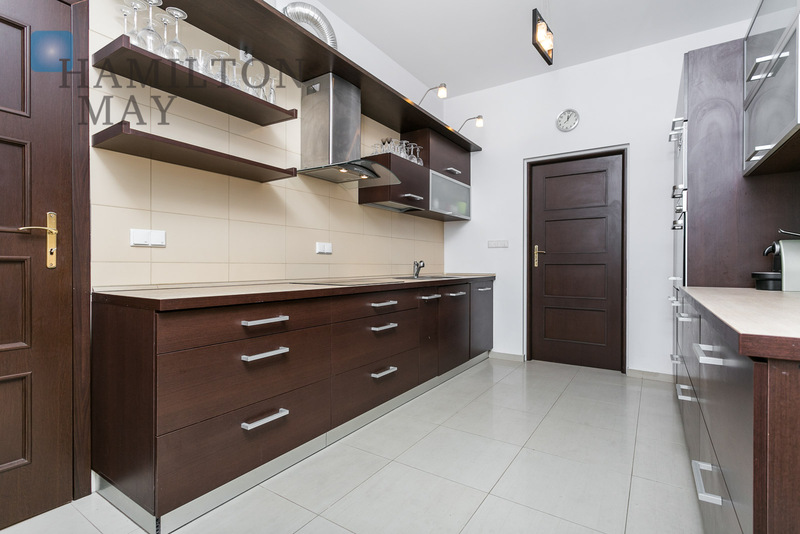 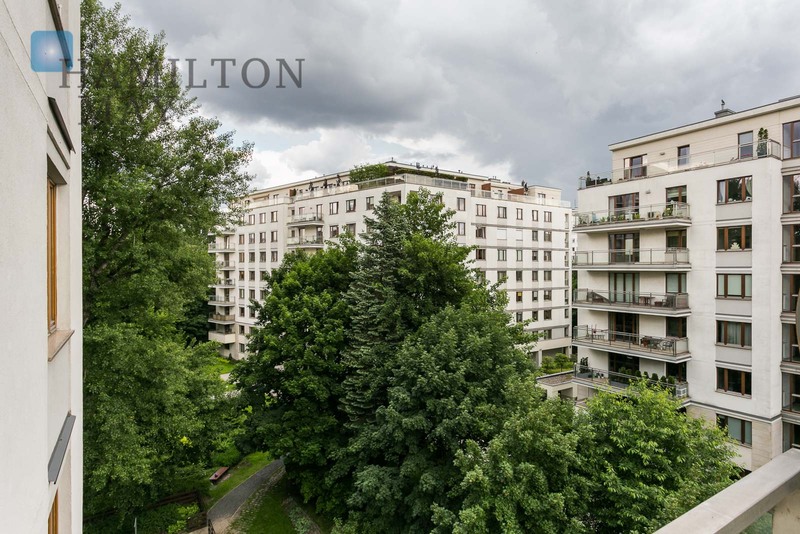 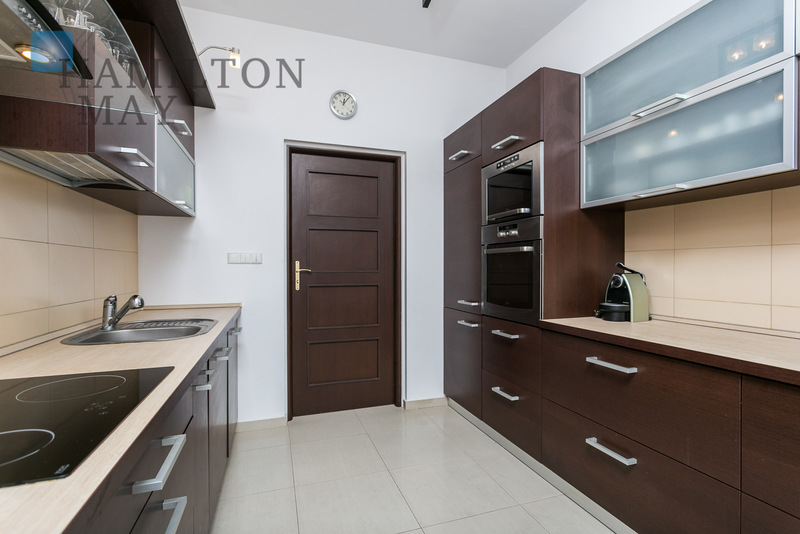 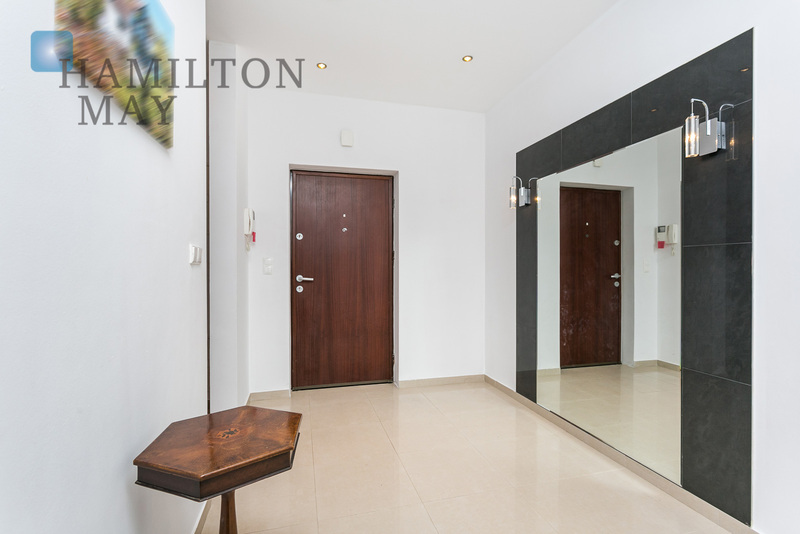 Apartment has area of 170m2 and is located on the building's 4th floor. 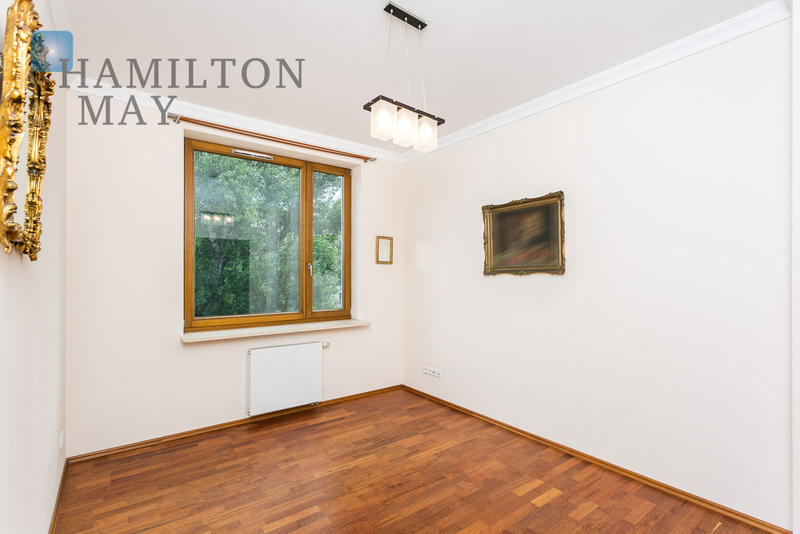 It consists of a speciuos living room 50 sqm. 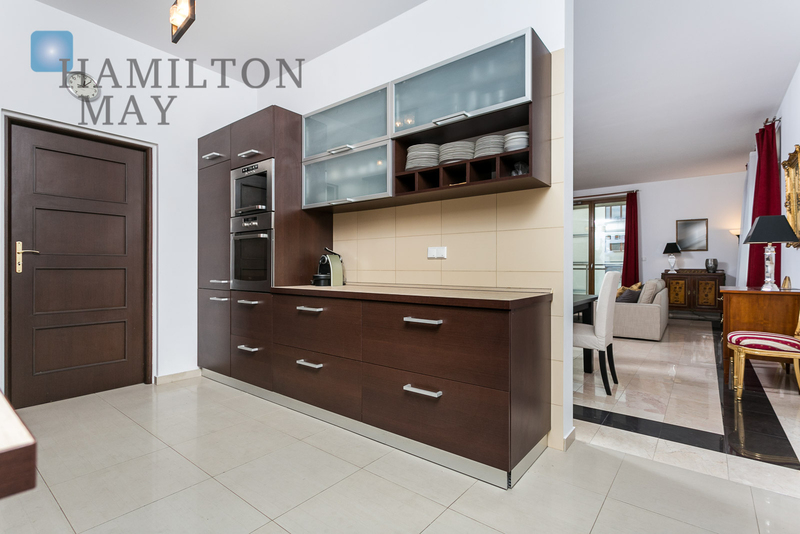 with access to a terrace 14 sqm., separate kitchen with pantry, quest toilet, hall. 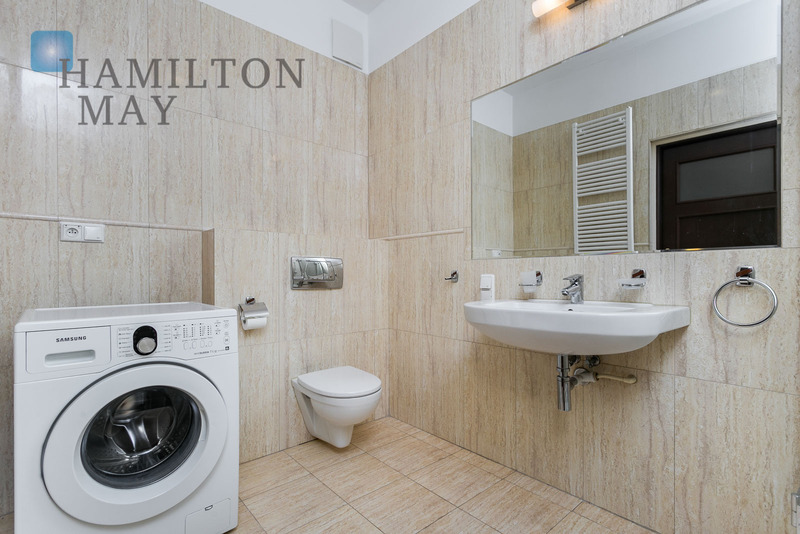 The private area consists of master bedroom with en-suite bathroom and walk in wardrobe, three additional bedrooms, bathroom with a shower. 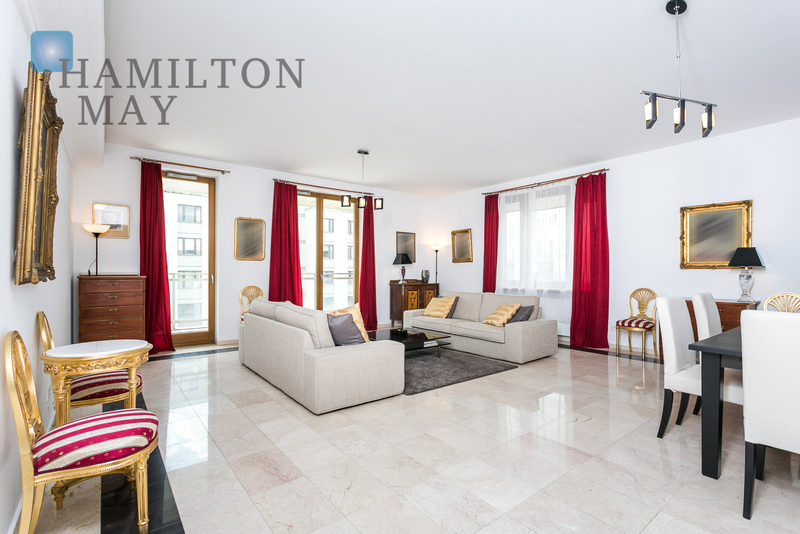 The apartment has been finished with a high quality materials, marble floor in the living room, and exotic wood in all bedrooms. 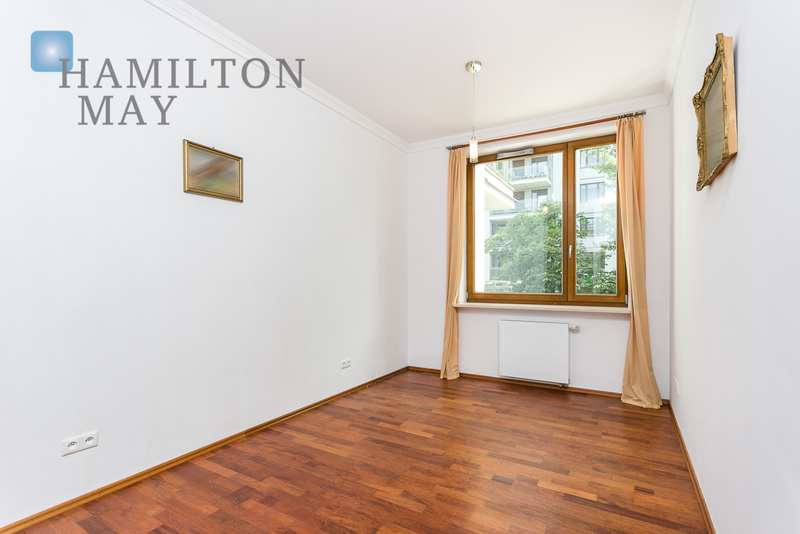 A Living room and a master bedroom comes with air-condition. 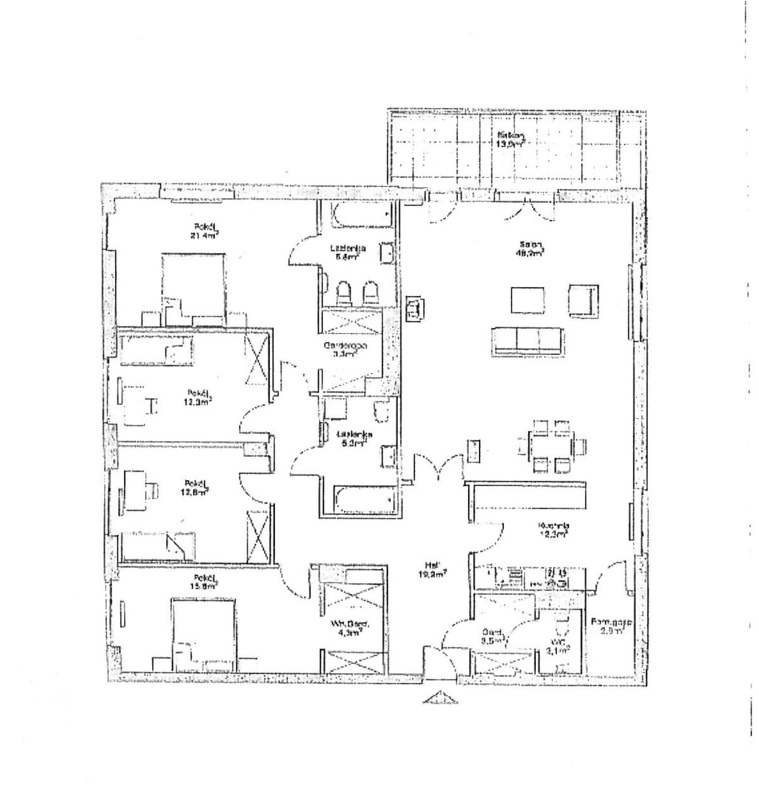 The apartment includes two parking places in the underground garage. 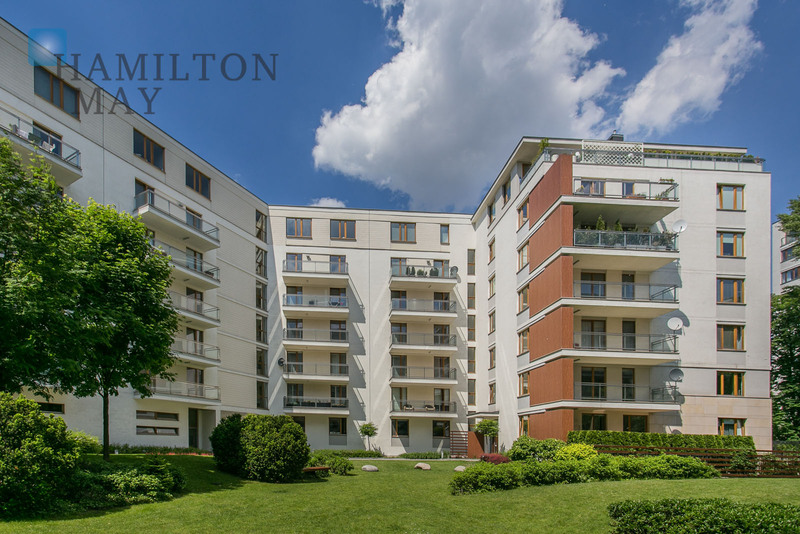 This luxurious residential complex comprises four elegantly designed buildings. 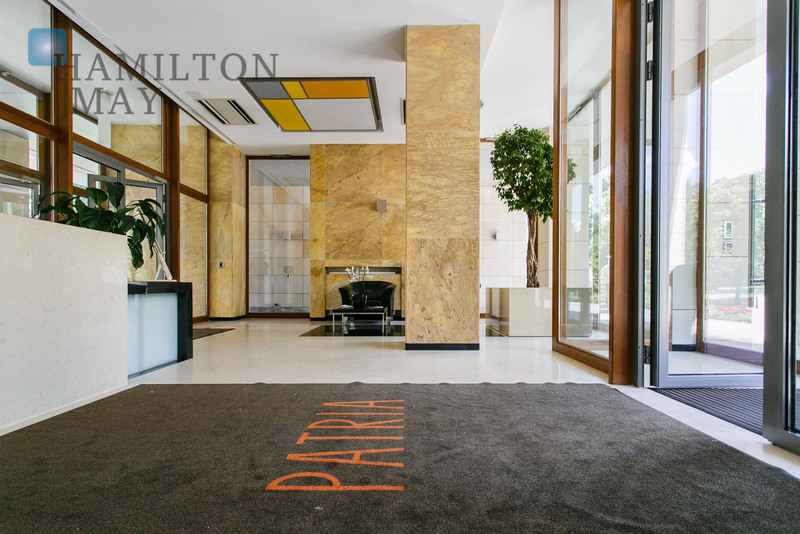 The extremely attractive location of this investment contributes tremendously to the comfort of its residents. 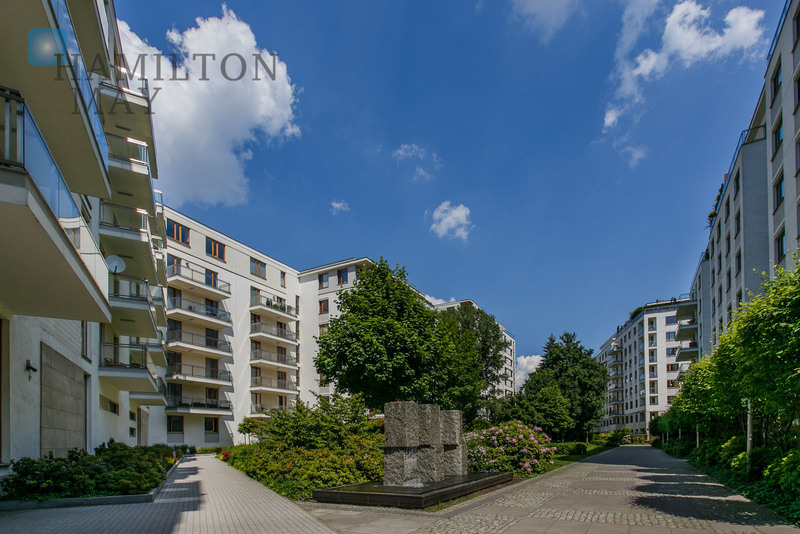 Patria elegantly blends with the green neighborhood of Powiśle - the development's design incorporates the surrounding greenery as its integral part. 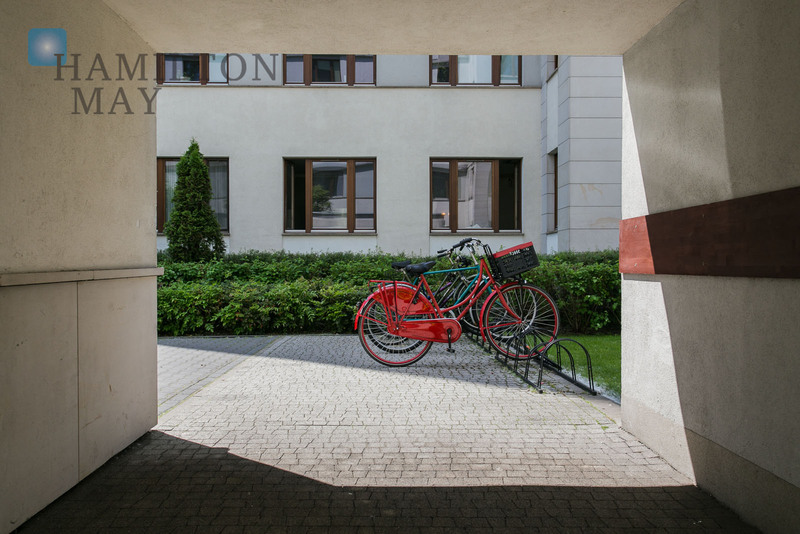 The discreet courtyards are a part of the existing park. 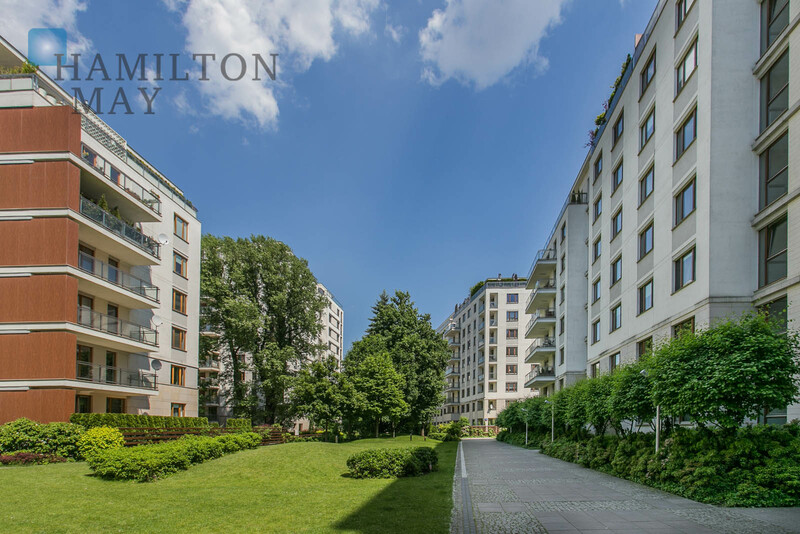 The settlement sits in the very heart of Powiśle, in the vicinity of the Trzech Krzyży square, Rozbrat street, Vistula boulevards, as well as Rydza-Śmigłego and Łazienki parks. 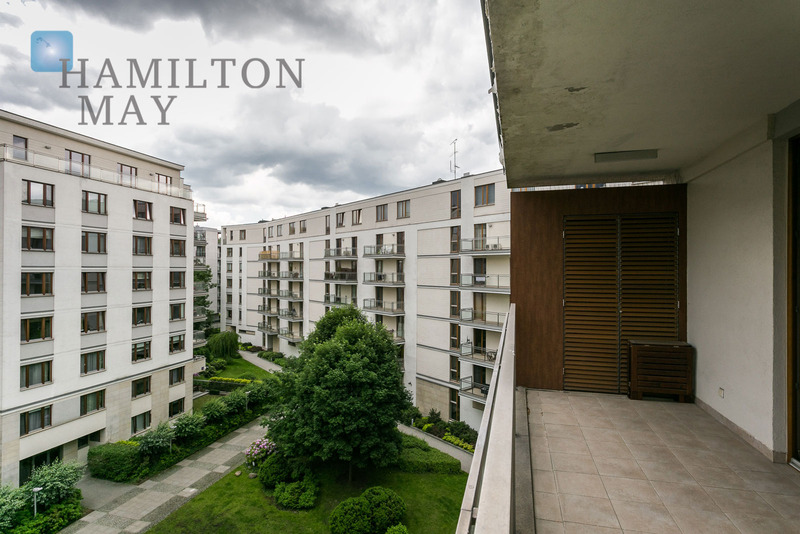 The local infrastructure features numerous shops, luxurious boutiques, popular coffee shops, restaurants, embassies, sports center, spa, and various stops of public transportation (buses, trams, SKM). 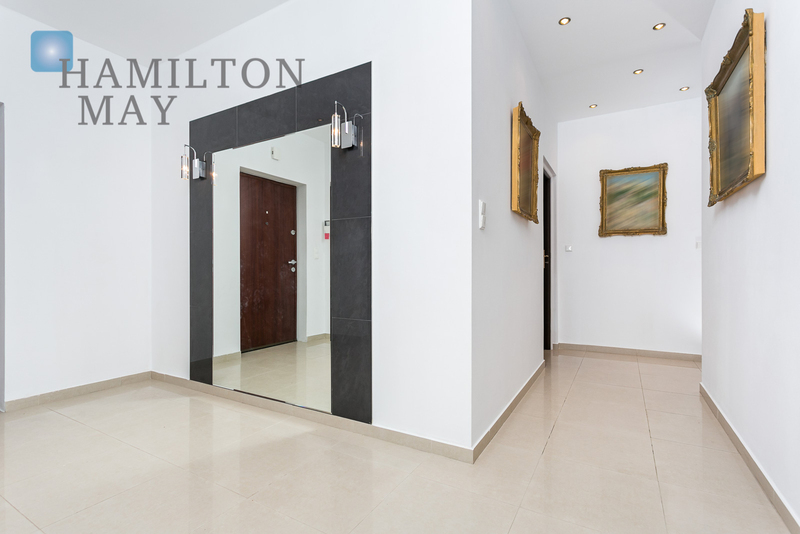 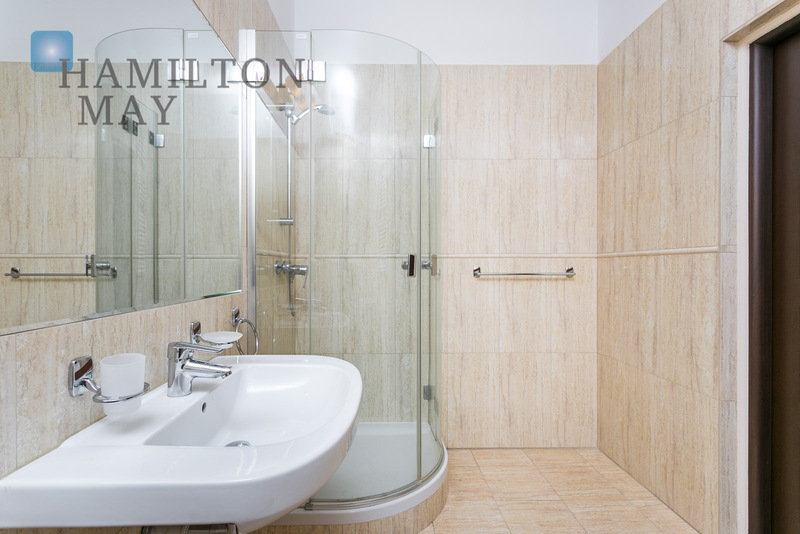 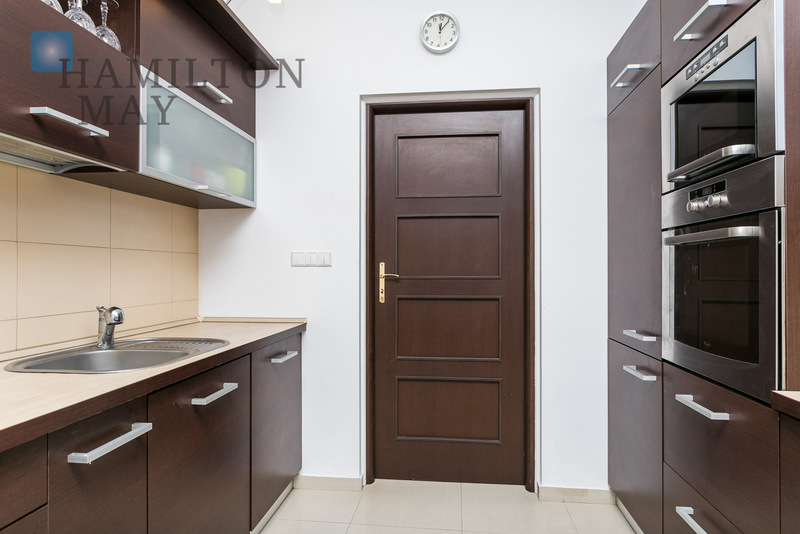 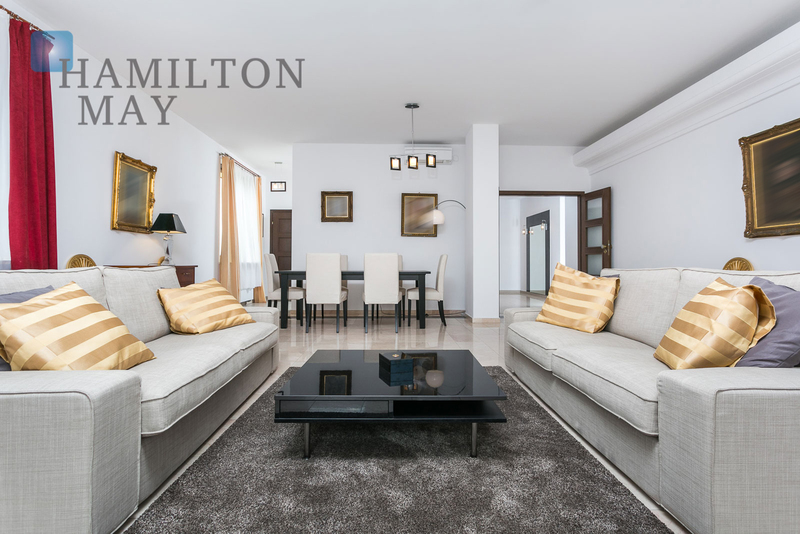 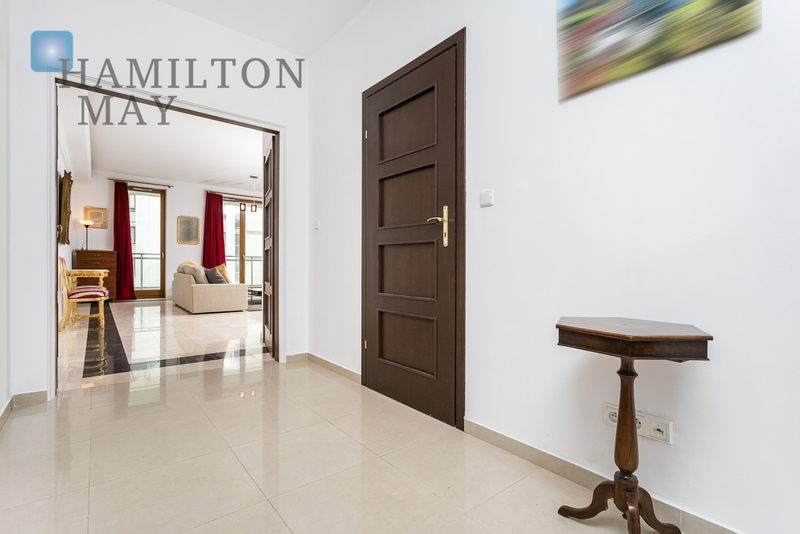 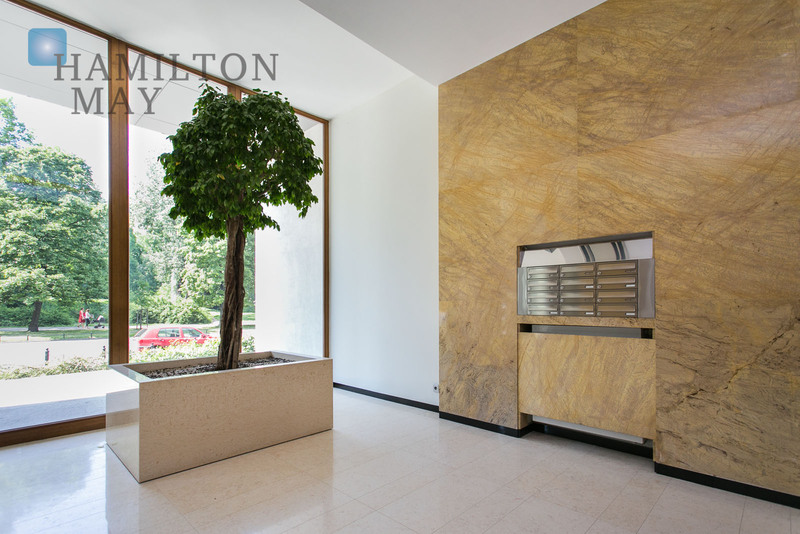 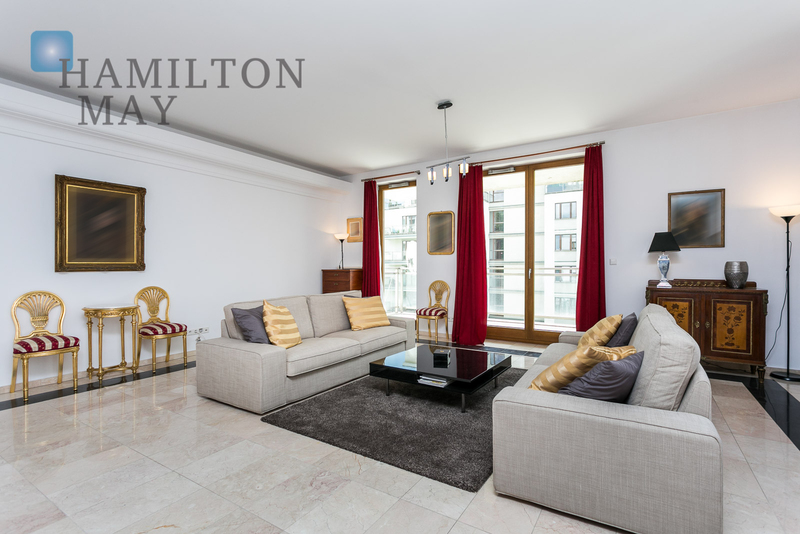 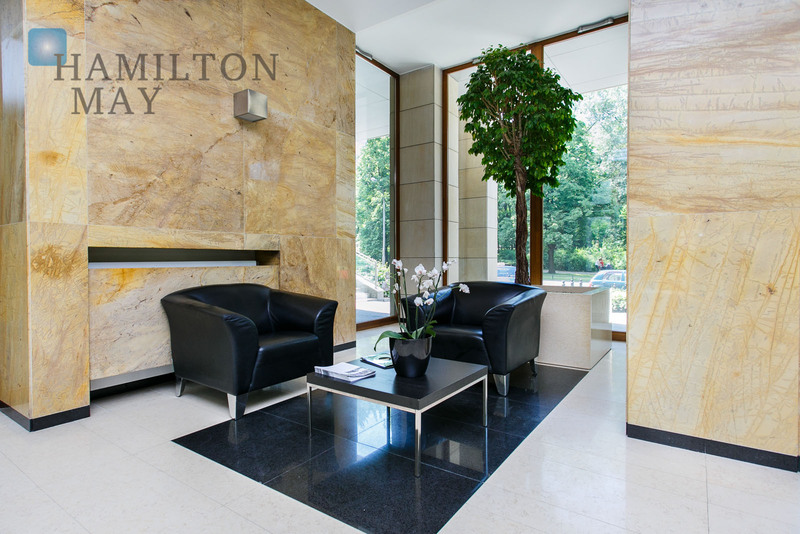 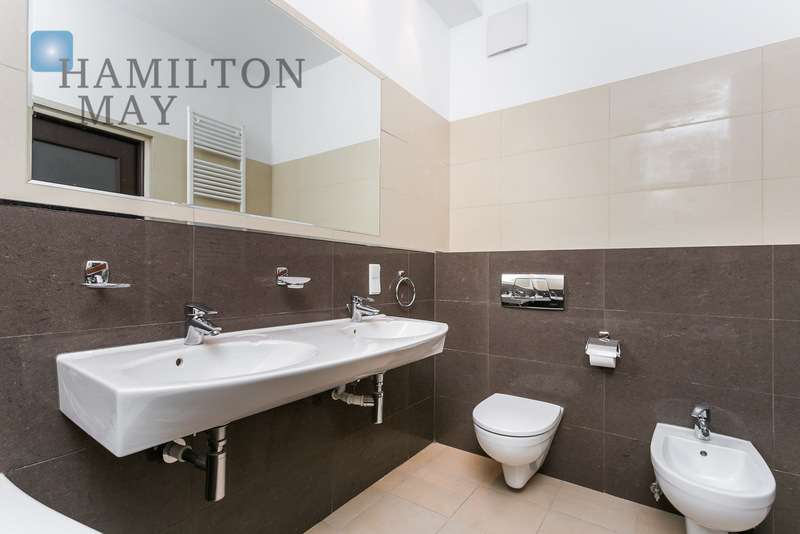 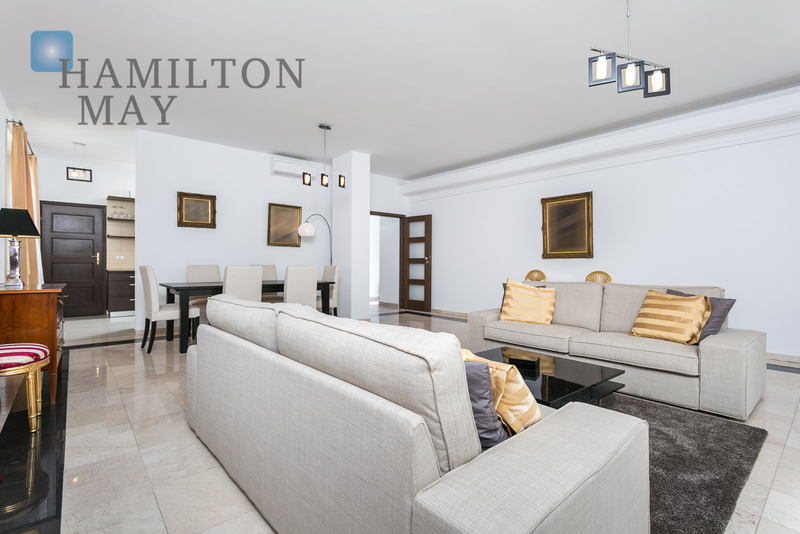 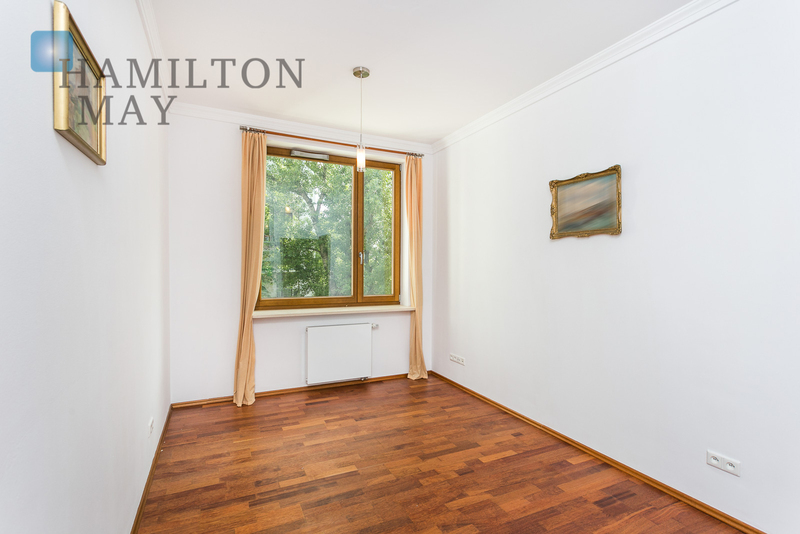 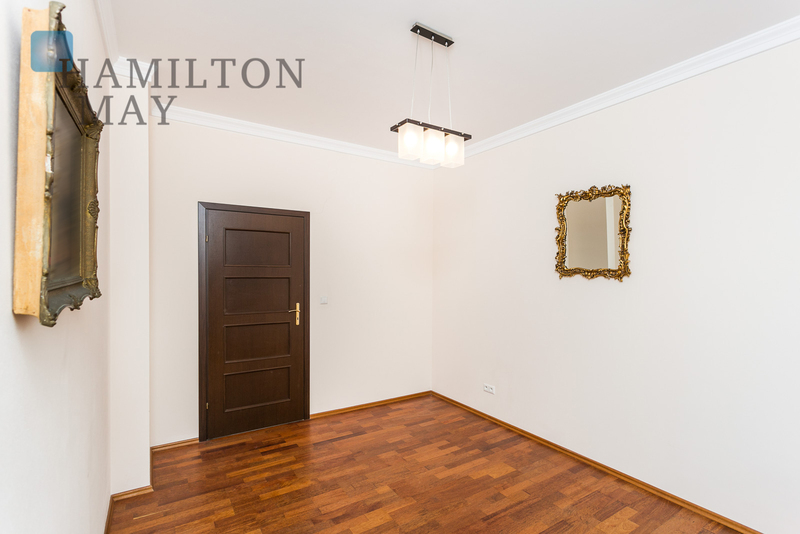 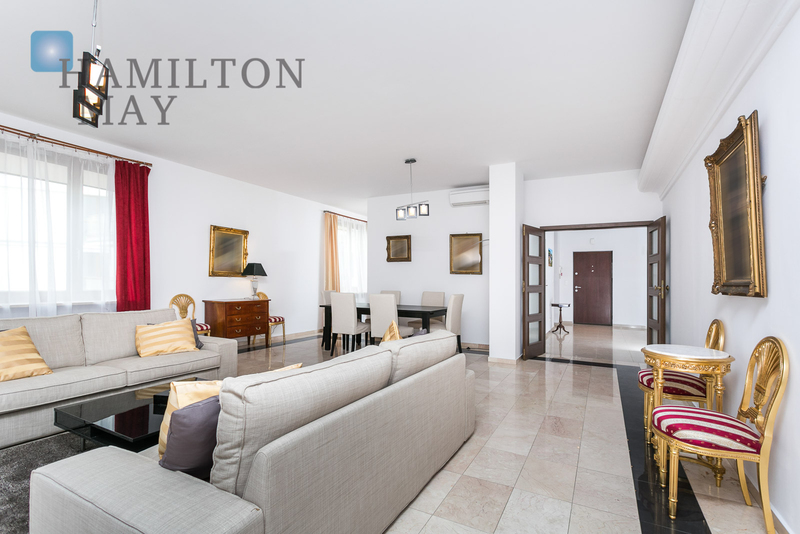 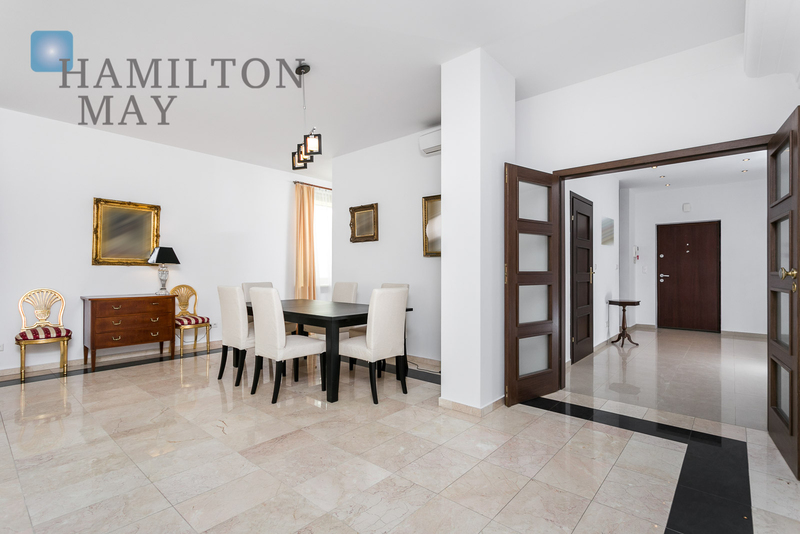 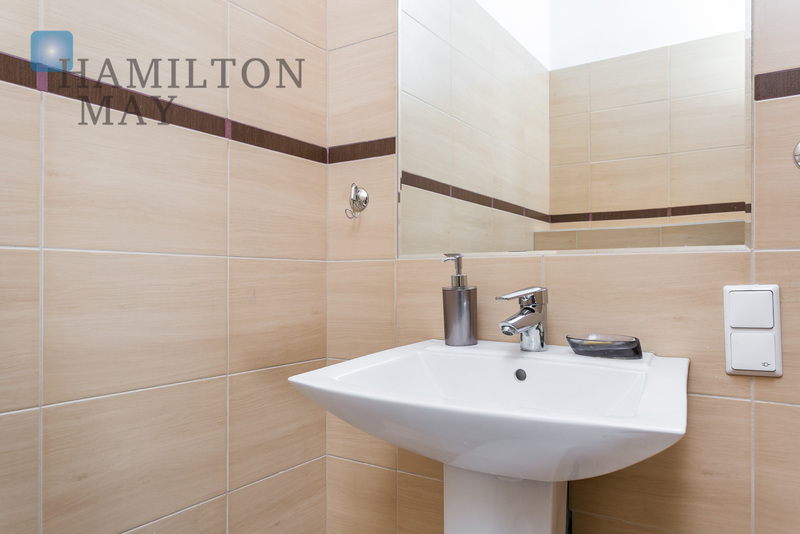 We invite you to contact Hamilton May and arrange a viewing of this unique property.